I've stayed very close friends with my coworkers from sophomore year of college. 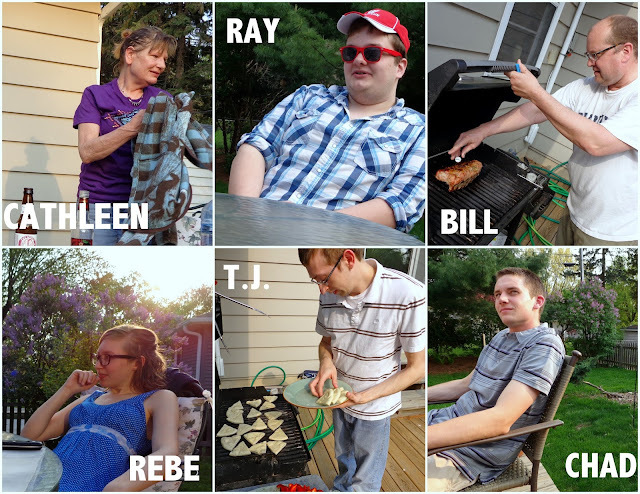 We get together every one or two months over a meal; each person is assigned what to bring. Brother Teej was assigned the appetizer, so he made homemade hummus (<-- click for the recipe) and brought pita bread. Bill provided the main course of meats and veggies -- which was actually more like three courses in itself. Each meat was served with a veggie. All of Bill's main courses are amazing. It was great to catch up with everyone, and to be eating outside again. GRILL. 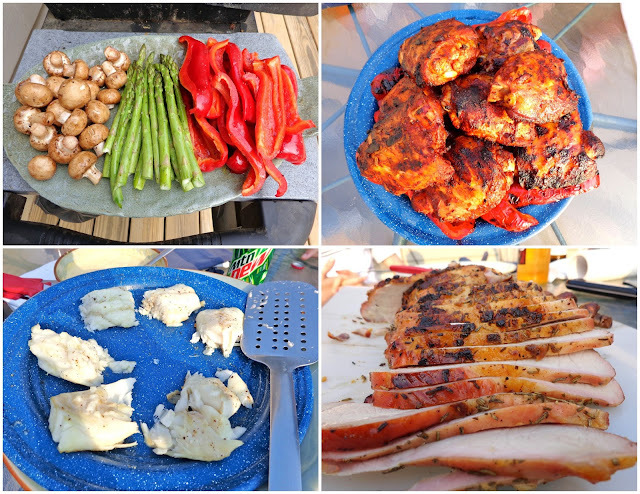 Mmmm Can't wait to BBQ this summer, we'll have to do it when you come to visit! Yes, for sure! Have you got a grill?